Note: While review will be spoiler free, it does make reference to previous books in the series. If you haven’t started yet, check out VBC’s review of The Veil. 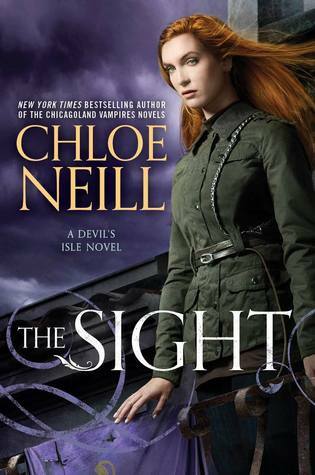 The Sight picks up right where The Veil dropped off: Claire Connolly and Liam Quinn are working to save Claire’s life from the damage magic will do to her. You see, Claire is a sensitive, meaning she is sensitive to magic and has special abilities that could lead her to being imprisoned inside Devil’s Isle along with all other magic users and paranormal creatures that were imprisoned there after the great war that tore New Orleans apart. Even if she’s safe from the Containment officers circling the quarter in search of anything magical, if she becomes consumed by her magic, she turns into a power-hungry and out-of-her-mind wrath that will have to be turned in by Liam—her bounty hunter man-friend. In The Sight, there is a cult—Reveillon—set out to cleanse the world of all paranormals and those sensitive to their cause or containment within Devil’s Isle. Reveillon is quickly gaining members into the thousands and is striking down anyone and everyone in their way. 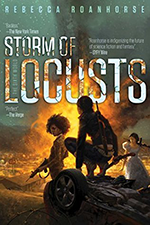 Claire and Liam work with their friends, family, and Containment officers to bring down this dangerous cult before they destroy more lives than they already have. The first half of The Sight was world-oriented and worked on continuing to build upon the world-building foundation that The Veil initiated. This means that the first half of the book can read slow to some readers as there’s less action and more information. Honestly, the second half more than makes up for the initial slower pace of the plot as it rapidly speeds up and then—boom—you’re at the end. Even with my love of fast-paced and action-filled plots I enjoyed the first half of the novel. It worked to build the tension and severity of the extremist group Claire and her friends were faced against. Claire and Liam’s relationship also transformed drastically in The Sight. While nothing between those two felt forced in any way, you could tell that they wore both making a conscious effort at being together while being true to themselves. For Claire, that meant accepting Liam for who he is while accepting what that might mean for any kind of relationship between them. The chemistry is definitely there, but how will they make it work? Part of what makes The Devil’s Isle series (and any other of Neill’s works) so well rounded are her multi-faceted supporting characters. Tadji’s role in Claire’s life was important as a best friend in The Veil, but that too transforms in The Sight. Also: what’s up with Malachi? The consularis angel is definitely in lust for Claire, but she doesn’t see it and I’m wondering where his emotions will lead him in future installments of the series. There were many aspects of Neill’s world here that were unerringly familiar and struck an all-too-real chord for me. The extremist actions of the Reveillon group felt similar to those radical actions we’ve been seeing in the news lately and totally blew my mind. 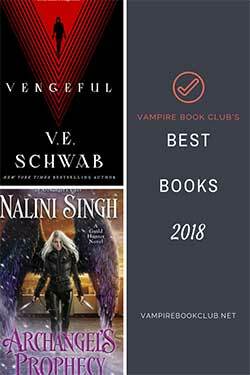 The urban fantasy and paranormal genres are fantastical because of those magical elements—yeah, but the genre lasts because of those tangible qualities we can relate to in “real life.” I’ve said this before, but I’ll say it again: Chloe Neill is one of the top authors in the UF and PNR genres. She has a whimsical and subtle way of weaving the normal with the fantastical and she rocks it every time. The Sight was an absolute page-turner and one of the best—if not the best—books I have read all year. I am currently anxiously awaiting the next book in The Devil’s Isle series.